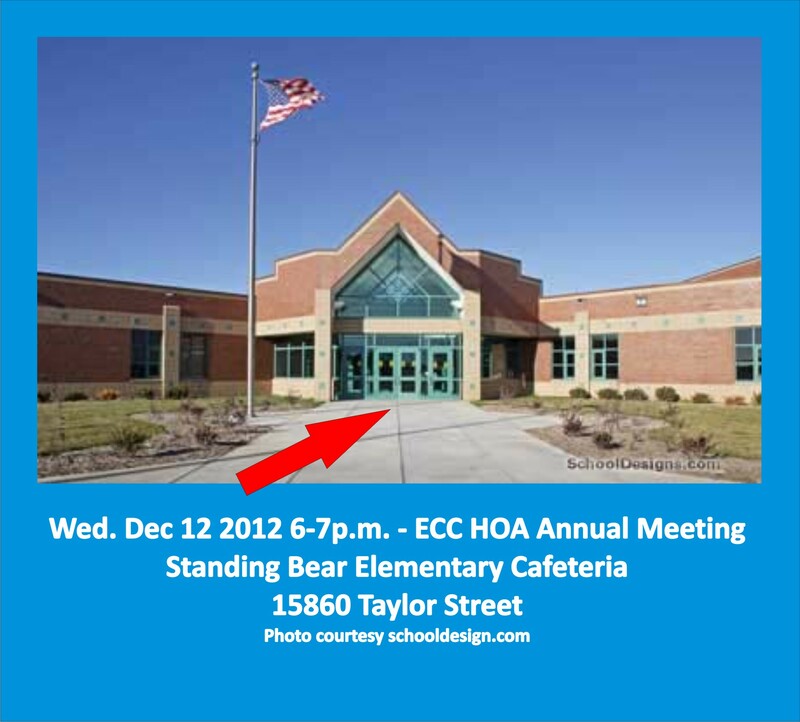 (ECC) — Wednesday, Dec. 12 at 6 p.m. at Standing Bear Elementary for the ECC Homeowner’s Annual meeting. It is then when the Board of Director’s shall be elected, present financial reports shared and 2013 budget voted upon, too. Everyone is invited to attend the meeting located at 15860 Taylor Street, inside the cafeteria. P.J Morgan Real Estate, ECC’s Property Management Company, recently mailed out a notice mentioning same. 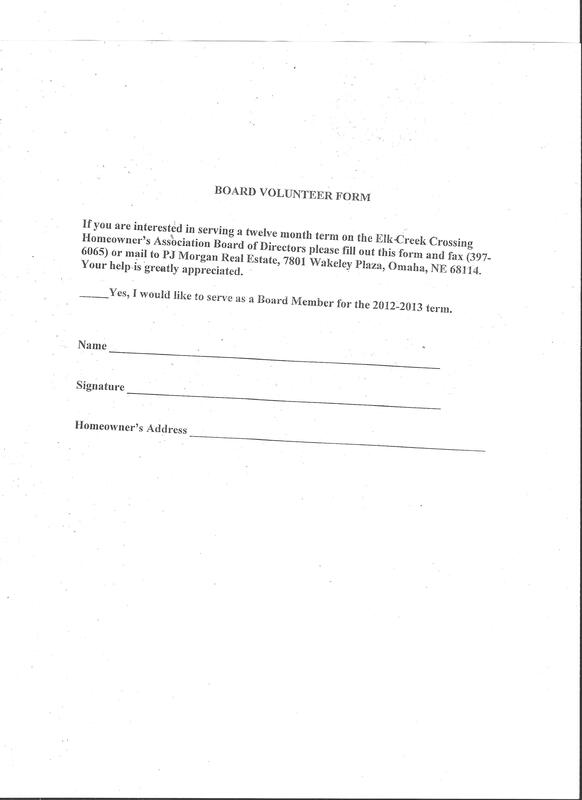 In the paperwork, is an Official Proxy plus a Board of Directors Volunteer form. If you were interested in joining the Board, the deadline to submit below listed document was November 16th, so the ballot can be printed. Please call P.J. Morgan at 402-397-7775 to see if there’s still time – to volunteer. Previous Year-Round Yard Waste Collection Here!